With 2017 quickly approaching, it is time to take a look back at the last year and take stock. 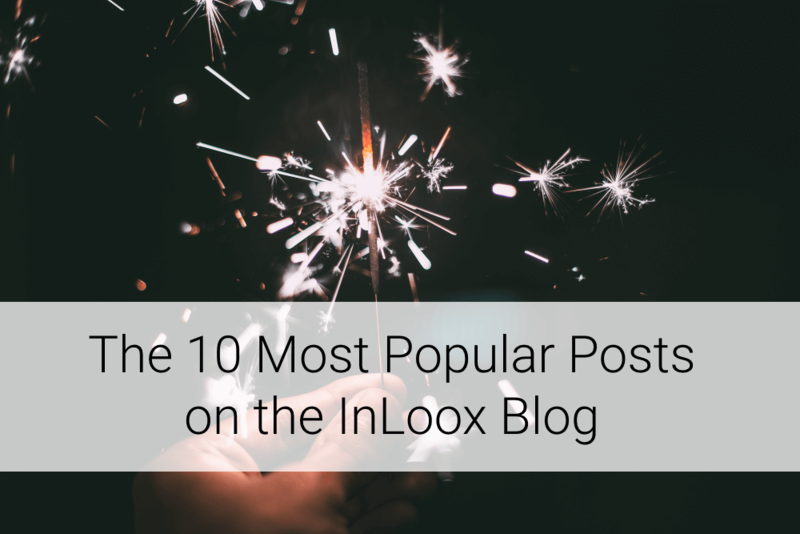 We took this opportunity to compile a list of your favorite posts on the InLoox blog in 2016. The most popular blog post is probably also the funniest one. We asked project managers on LinkedIn to share their favorite project management jokes with the InLoox blog and collected them all in one infographic. Happy laughing! The internet of things is not a mere trendy buzzword anymore. It’s become an established part of the tech world. The IoT has its risks, such as security issues, e.g. the DDoS attacks in October which took down several major US websites such as Twitter, Spotify or Paypal. But it also presents vast opportunities for the tech and business world in general, and project management in particular. SCAMPER is a collection of various problem solving techniques and stands for Substitute, Combine, Adapt, Modify, Put to another use, Eliminate and Reverse. Using one or all of these seven methods can help you solve your problems more effectively and come up with more innovative ideas. There are two ways to plan a project: Top-down or bottom-up. Each approach has its advantages and disadvantages. And there are several factors you need to take into account when deciding on one or the other approach. Quotes motivate people because they come from people who are often leaders in their respective fields and have achieved great things, often after overcoming adversity and failures. We’ve compiled a list of the 62 most inspiring project management quotes. Making mistakes is inevitable, and it’s not necessarily a bad thing as you can learn from your mistakes and use them as a lessons learned. But there are some very common mistakes that many new project managers make that are avoidable. Every project goes through the 5 stages of project management, also known as the Project Life Cycle Model. This model serves as a sort of roadmap for the project manager and the team to deliver the project successfully, i.e. on time, and within budget and scope. The project scope statement is an important document. It serves as a guideline to the project manager and project team throughout the progress of the project. It is also an important basis for the successful collaboration between the client and the project manager as it helps avoid misunderstandings. There are a lot of different project management certification programs out there, so it’s easy to lose track of which certification might be the right one for you. We’ve created the ultimate guide to all the popular certifications out there: PMI, PRINCE2, IPMA, and Green Project Management. You can find part 2 here. Businesses need to innovate if they want to survive in a world that is moving at an ever increasing pace. Those who are too slow, are left behind. But you need to come up with ideas first before you can innovate, and ideas – or rather the idea generation process – also need to be managed. Best of 2016: The 10 Most Popular Posts on the InLoox Blog - InLoox • Copyright 1999-2019 © InLoox, Inc. All rights reserved.